Are you shitting me? This is pure brilliance. No more towels. No more stupid blankets. 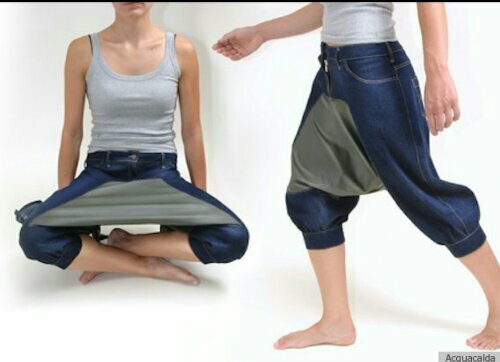 Granted I don’t go on many picnics, but if you’re only using these pants on picnics you’re wasting it’s potential. Going to the movies? Let me put on my picnic pants and go to town on some popcorn. Spontaneous snack time? Picnic pants turning friends into jealous zealots. I need these.picnic pants and I will have these picnic pants. End of story. Posted on August 20, 2013, in Average Blog Posts and tagged clothes, fashion, huffington, movies, pants, picnic, post. Bookmark the permalink. Leave a comment.